A kitchen is a focal point of any home. Just as a soldier marches on his stomach, a house is carried by its kitchen. Transforming your cooking space is what we at Konstruct Interior Solutions do best. 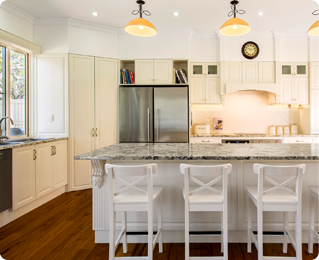 Based in Brisbane, Konstruct Interior Solutions has earned a reputation for being one of the fastest growing kitchen companies in the region. The company was established in 2011, but is backed by people who have more than three decades of experience in interior design. We understand the variety of tastes people have when it comes to their homes and offer a range of kitchen styles to suit everybody. Stick with one theme, mix and match between several or let us share our knowledge and help you decide. 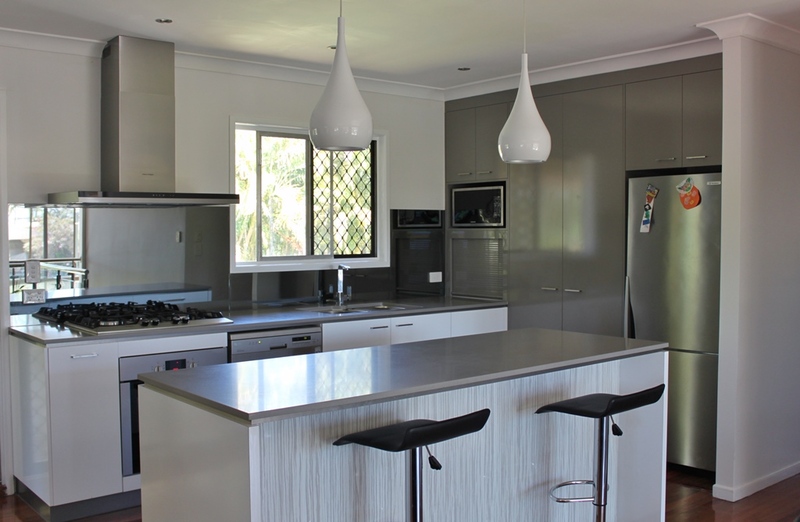 Whatever you choose, Konstruct Interior Solutions have Kitchens in Brisbane covered. One of our specialties is offering kitchen cabinets that fit the lifestyles and expectations of our guests. Whether you just don’t like the look of your existing cabinets, or have discovered you never seem to have enough space for all your food, plates, flatware, and glassware, we can assess the situation and offer smart ideas for improvements. Our kitchen manufacturers will even dispose of the old cabinets for you, so you don’t have to endure the potential hassles involved with getting rid of them responsibly. We do great work for clients who want to improve their kitchens, but our expertise certainly doesn’t end there. Unlike some kitchen companies that just focus on one area of the home, we can enhance your bathroom by adding a sparkling new vanity, install a walk-in pantry elsewhere in your home, or even improve a part of your commercial store. 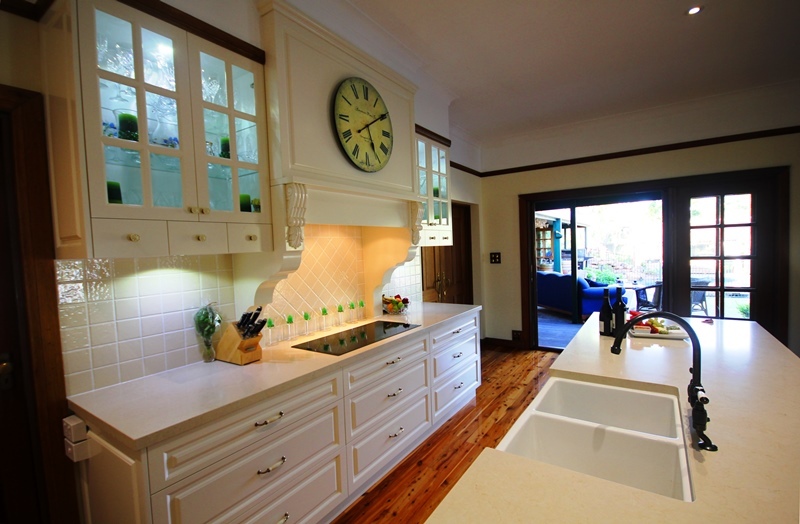 Kitchen renovations present numerous challenges. Spaces can be small, awkward or unusual, style needs to complement existing décor and work needs to be coordinated between different tradesmen. As we have such a long history in the industry, we are well aware of all the complications and issues that can arise during a project and have a solution for any problem. 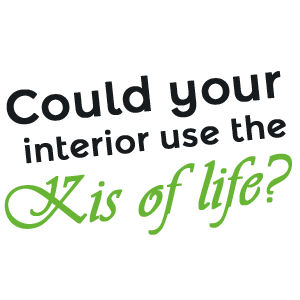 We will develop a plan that best suits your situation, clear it with you and then begin work. This way, jobs are completed in the correct sequence, saving you time and money. We have a 14 day final payment period to ensure any issues after completion are dealt with immediately, and any work on your new kitchen will be undertaken to the highest standard and with as little disturbance to you as possible. 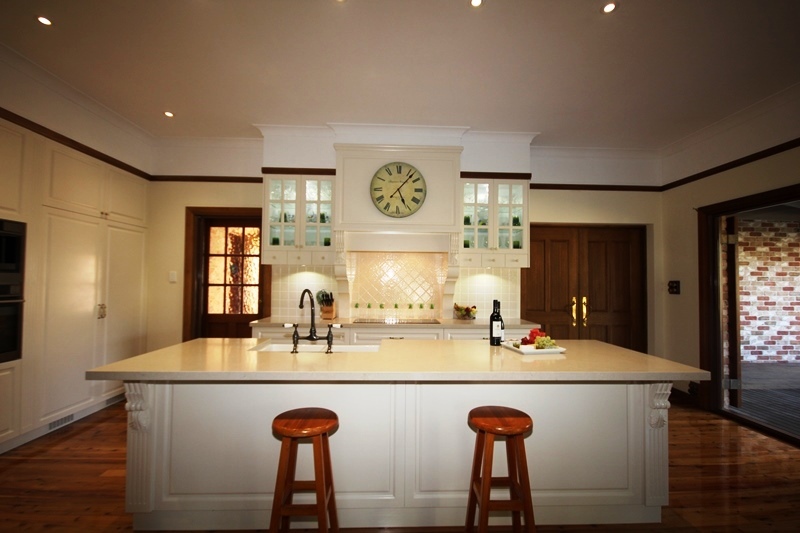 Get in touch with us to find out why we stand out from other kitchen specialists. We’re ready to bring your plans to life, so all you need to do is relax and enjoy the results of our efforts.